[GIVEAWAY] What You Need To Get @ Pie Hole LA! - EAT WITH HOP! 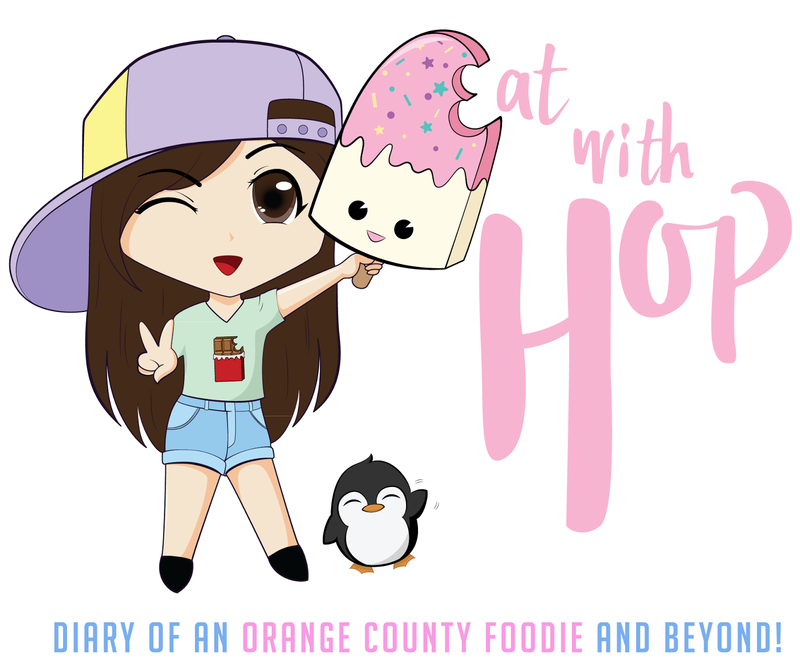 Home / CHAIN RESTAURANT / GIVEAWAY / PIE / [GIVEAWAY] What You Need To Get @ Pie Hole LA! The Pie Hole Los Angeles has really expanded to all over SoCal with locations in Orange County and Los Angeles and even Inland Empire too! Here is my experience recap with their unique pies! Look! It's FOODIEMOBBB! Thasss my good friend RAY ! Check him out on Instagram y'alls @foodiemobbb ! When I first went to Pie Hole LA at their Orange location, the prices made me hesitant. I didn't know these pies were so pricey! Especially since the size itself is not big. It's probably just as big or a bit bigger than my hand. But I do have to admit, they have some crazily creative flavors here! I gave it a shot anyway. It was probably the pricing that got me thinking, wow, all that for just this? I honestly don't remember what I ordered because it wasn't too memorable. It was a meaty pie, but had barely any meat. And it was tiny. I don't think that $8 pie would fill me up at all. So ever since this experience, I never really went back. But still stayed curious. I had the opportunity to visit Dessert Week LA as media a few years ago and my experience there was fantastic! If they have it again, I totally recommend y'all to go! It is so worth paying for imo! Anyway, the Pie Hole LA booth was there, so it was another chance to try it! They were showcasing their dessert pies which are so delicious. Their booth probably had the longest line because they were giving whole mini pies to everyone there. OMG SO WORTH! And not only that, but since it was so yummy, it was worth waiting in line for too! I tried the cereal killer pie, matcha pie, and earl grey pie. All were on point with the flavors. Usually I am skeptical with matcha at places like these, BUT OMG IT'S SO DAMN GOOD YO! I can definitely tell these are some quality pies. Anyway, all their dessert pies are good, just get it. GET ITTTT! I had the opportunity to visit Pie Hole LA as media again during their Long Beach soft opening and tried some more pies! I have to tell ya, their meat pies look hella good! Mac n Cheese Pie: omg I love mac n cheese so I was excited to try this! I actually ordered it To-Go and baked it in the oven before eating it. The shell was very crispy and flaky and I love the garlic on top. The mac n cheese itself inside is quite basic though, so I was a bit underwhelmed. Chili Pot Pie: I also got this to-go and baked it before eating it. I preferred this much more than the Mac n Cheese! It was flavorful and moist and meaty, stuffed with kidney beans, corn, ground seasoned turkey, onions, tomatoes, cheddar cheese and blended spices! This was anything but basic so I think this is more worth! Peppermint Chocolate Pie: This was a dessert pie I got. I left it in the fridge and just took it out to eat. It was divine. PIE HEAVEN! I love how festive it tasted. The mint part isn't too overpowering at all and the chocolate is just rich! OVERALL, I PREFER THEIR DESSERT PIES. From my overall experience, I think their sweet pies are unique and delicious. Like... look at this pie-fait! It's like a partfait... but with pie and ice cream and whipped cream! WHOA! There are also drinks too! I have a sweet tooth. What about you? *These pies are pricey but are freshly made and great quality. In my opinion, I think the dessert pies are more worth it! For locations, check out their website here. As part of the February 2018 monthly giveaway, I am teaming up with Pie Hole LA to give a gift card to one lucky taste bud! WOO! Win a $25 gift card to any location! ⇉Enter using the google form here.